Google Image “Red Hook” – do it! What comes up? The Red Hook Stores at 480-500 Van Brunt Street went up in 1870 as a storage warehouse for goods traveling through the Erie Canal, down the Hudson River, and into the adjacent Erie Basin. In fact, William Beard, the man who built the Red Hook Stores (and the buildings below) created the Erie Basin as an extension of the harbor where it met the Erie Canal. 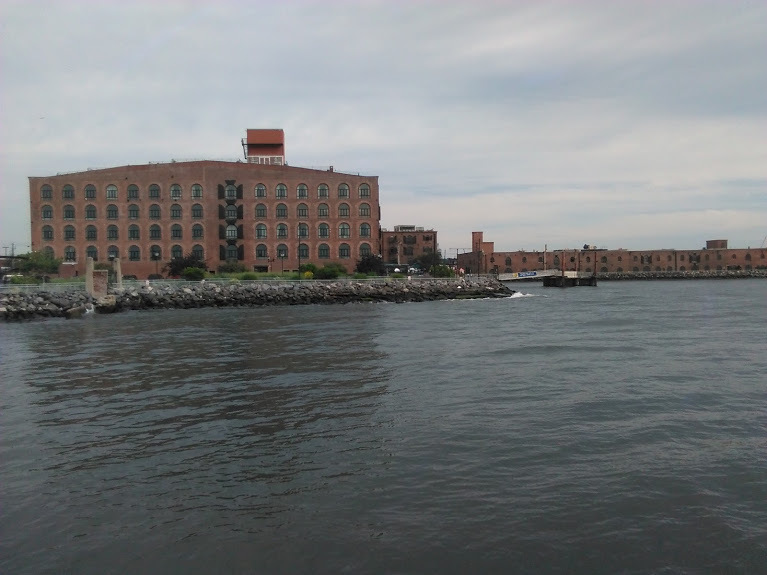 The Red Hook Stores became a huge facet in the cotton industry with storage capacity for tons of the crop – this changed when the textile industry moved south, and cotton shipments to Brooklyn decreased dramatically . Fast-forward to today, and the stores are home to Fairway Supermarket on the first floor. (Fairway is like Wegmans, but a little challenging to navigate. Good substitute, though.) There are loft apartments above Fairway, along with the offices of Fairway and two nonprofits: Dance Theatre Etcetera and Red Hook Rise. The Red Hook Stores sits at the end of Van Brunt, and what you’ll come to find as a main “business district” of Red Hook, littered with shops, restaurants, and galleries. The Beard and Robinson Stores at 421-499 Van Brunt Street (between the Red Hook Stores and the Erie Basin). Built in 1870 by William Beard and Jeremiah Robinson, the B&R Stores were built to accommodate goods bound for the New York Harbor and serve as warehouses, grain terminals, wharfs, and shipyards. Today’s tenants include Brooklyn Waterfront Artists Coalition, NY Water Taxi, and both the Dutch and German Kitchen Center. Ok – this one was my own, but Google worthy. The Merchant Stores/Pier 41 at 175 Van Dyke Street were built by Colonel Richards in 1870s for similar purposes as the Beard and Robinson Stores. 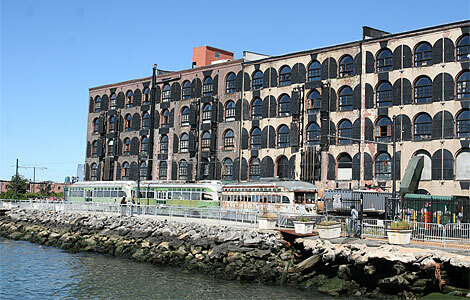 The warehouses, made of two buildings, sit between the historic Valentino Pier and the Red Hook Stores. 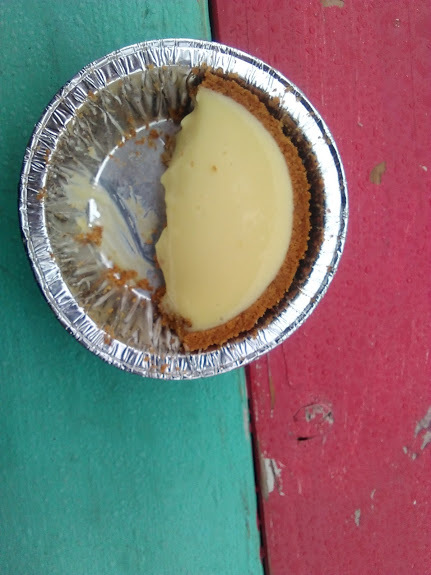 Today, you’ll find the Red Hook Winery, Steve’s Authentic Key Lime Pies, the O’Connell Organization, and the newest tenant, SUNY Geneseo! Right on the waterfront is the Liberty Warehouse; it’s a highly desirable venue for weddings and, impressively enough, the place where Jay-Z had his album release party for his 12th album Magna Carta Holy Grail. These buildings are the brownstowns of Red Hook: They’re beautiful, emblematic, and we all envision ourselves owning a slice. 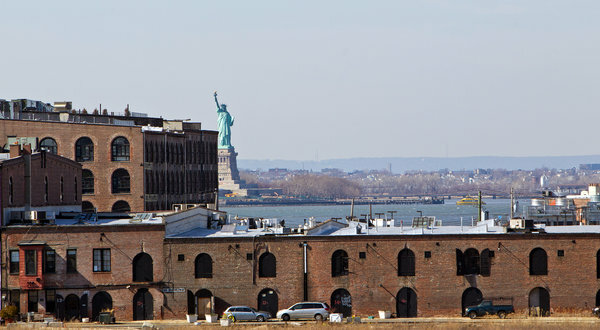 But the history of these large warehouses and their iron-shuttered windows sets Red Hook apart from its next-door neighborhoods. They’re constantly used as a draw for visitors and residents alike. 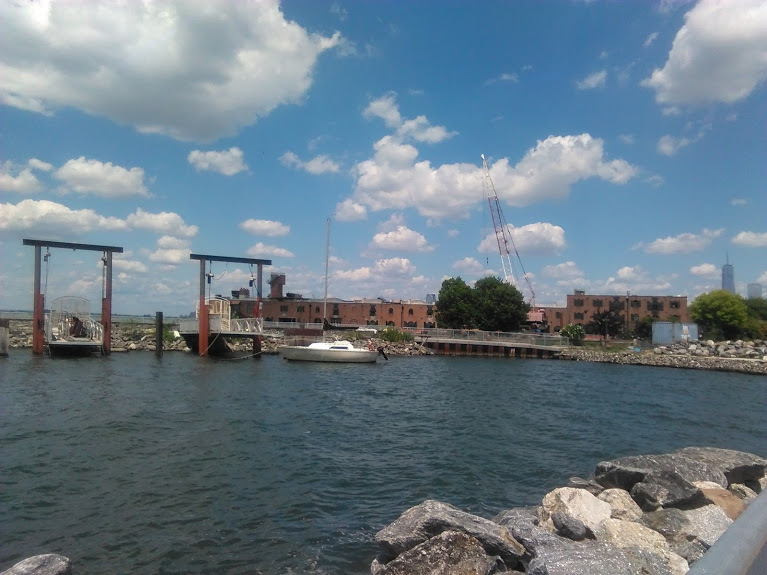 What’s even cooler about these buildings is that they are all owned by alumnus Greg O’Connell, who many say has been the catalyst for change in Red Hook since a hefty property purchase from Port Authority in 1992. Read about Greg O’Connell in this New York Times piece to learn more. Join us for a Victor LaValle Fiction Reading in Red Hook, Brooklyn! Summer Courses in Red Hook! Livingston CARES returns to Brooklyn!